Hello Savvy Southern Style readers! My name is KariAnne from Thistlewood Farms and I"m so happy to be here with you today to share my favorite room! Kim is one of my all-time favorite blogs and I just love her style! I live in the turn-of-the-century farmhouse in the middle of rural Kentucky at the end of a winding country road. On the top floor of the farmhouse....tucked away under the eves.....is our guest room. It's my favorite room....because when I need a little respite from a busy day....this is where I go. I decorated it in blue and white with pops of red to get it ready for Christmas. These are the ice skates I used as a child. I strung them from ribbon and hung them on the door with greens and pine cones. I found this bed by the side of the road (my favorite place to shop) and painted it gray and covered it with a polka dotted down comforter and a white coverlet. I painted the sign over the bed from an old mirror frame from my grandmother's attic. And the shutter wall? We collected shutters from the 500 mile yard sale and laid them out in a pattern and hung them on the wall. It was such an easy inexpensive wall treatment that adds architectural interest to the guest room wall. This chair came from a local auction. 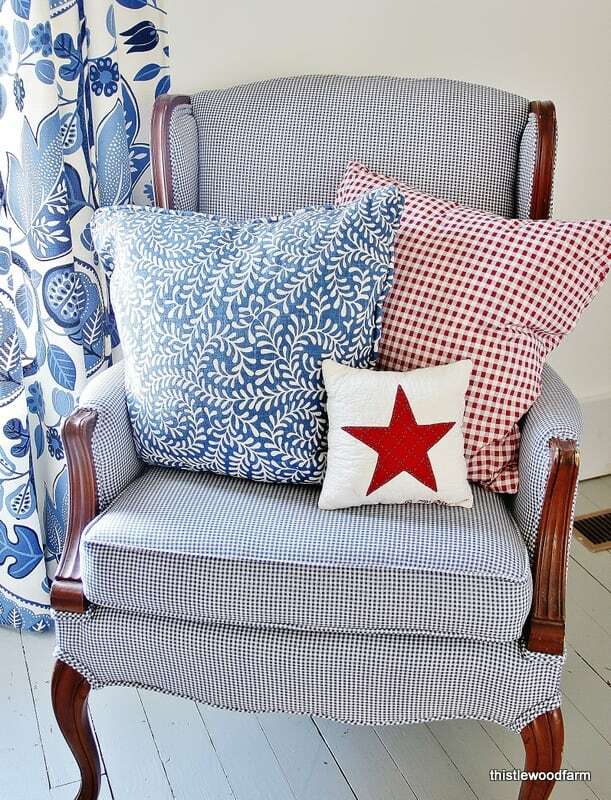 I had it recovered in a tiny blue and white checked gingham and added a star pillow for Christmas. This pillow was needle-pointed by my sister and sits on top of a vintage jewelry box and stand that belonged to my mother. 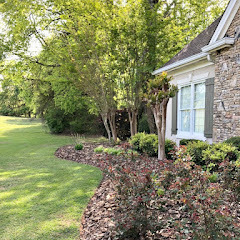 Most of y'all probably are very familiar with Thistlewood Farms, but just in case you aren't you will want to get comfy and something to drink and snack on because you just may be there awhile and yes you will laugh, too. Hope y'all have a super weekend! I will probably share more holiday decorating since time is running out. 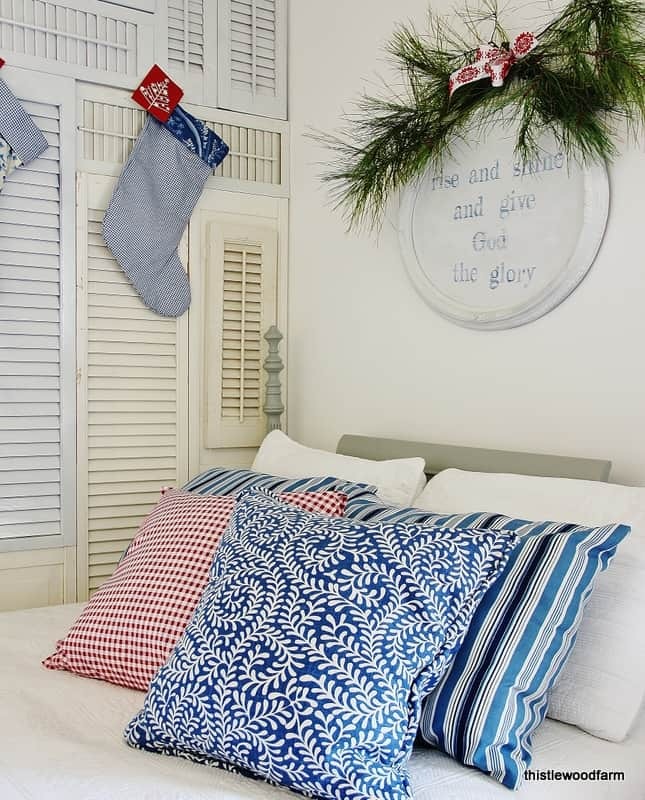 Luv the beautifully decorated red, white and blue guest bedroom KariAnne. Thanks for allowing me to peek in. 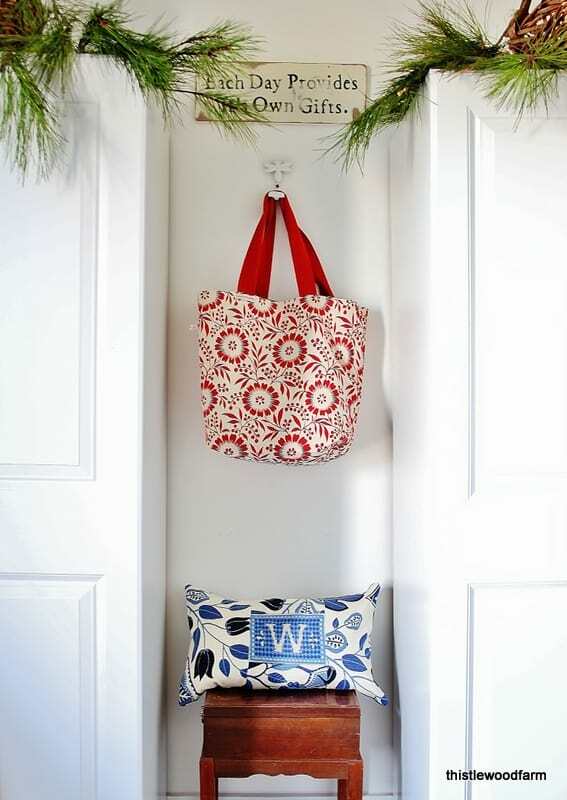 Comfortable, cheery and the perfect room for an at home getaway. Great feature with KariAnne. I think we all love her shutter wall. I so love Kari's guest room…and this is probably my favorite holiday room too as I love the departure from the classic red and greens…The red, white, and blue scheme is one of my favorites and Kari has done such fantastic job embellishing it perfectly for the holidays…and who cannot just swoon over the shuttered wall!…Thanks Kim for a great Holiday Favorite Room today for all of us to enjoy!! Have a great weekend. 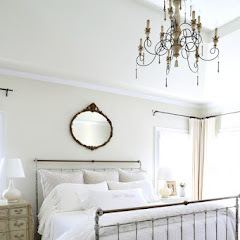 Love this room and I bet her guests do too! I have always loved that room and especially how she decorated it for Christmas! I think I must have pinned that room ten times before Pinterest started telling us we've already pinned a picture! Love it - and Kari Anne is such a doll! 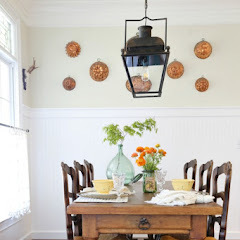 Love KariAnne's home and gatehouse, and this room is adorable! This might be my favorite holiday room too, if it were mine. 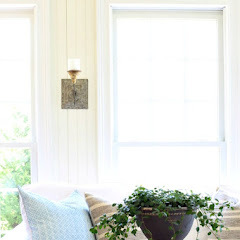 I love KariAnne and her blog and home. She always has such wonderful stories to go along with her posts. What a doll. Thanks for sharing this, KariAnne and you, Kim for featuring her. I've always loved this room and it looks even more spectacular with Kari Anne's festive holiday touches. The shudders on the wall are amazing and put together in such a clever way. 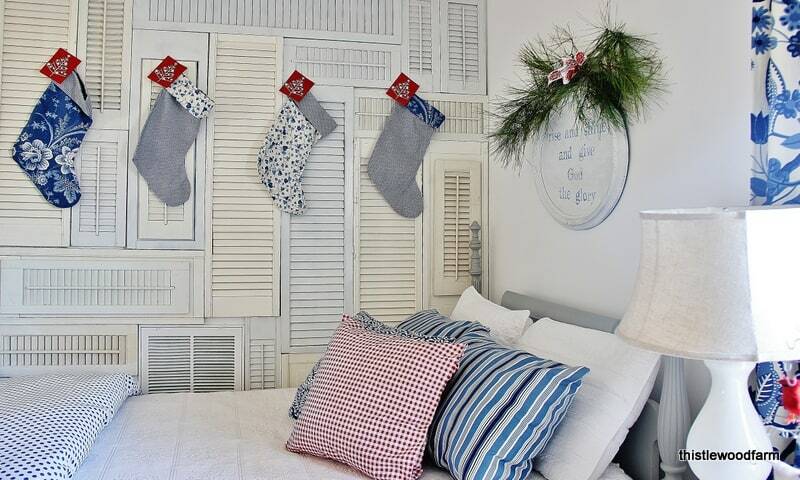 I've never done holiday in the bedroom before but this is gorgeous inspiration!Thanks Kim! Just beautiful! I love the shutters on the wall. 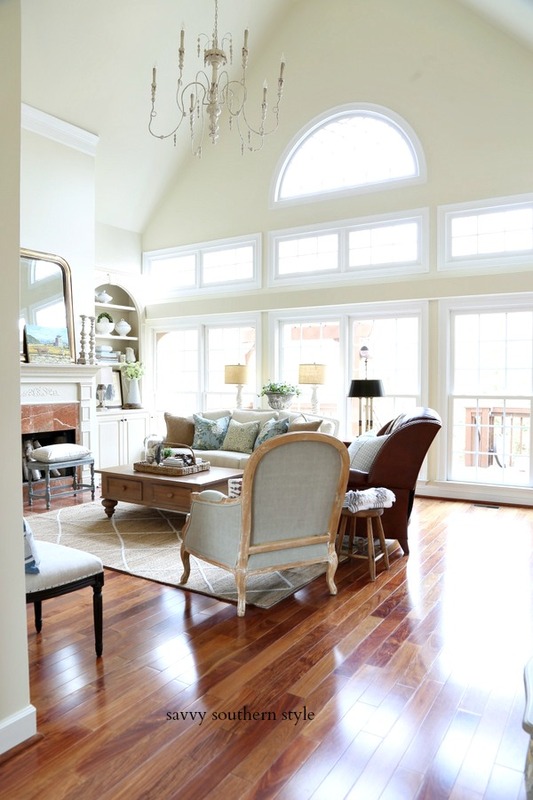 A simply gorgeous room with many subtle details and so much character! Beautiful guest room Kari-Anne! 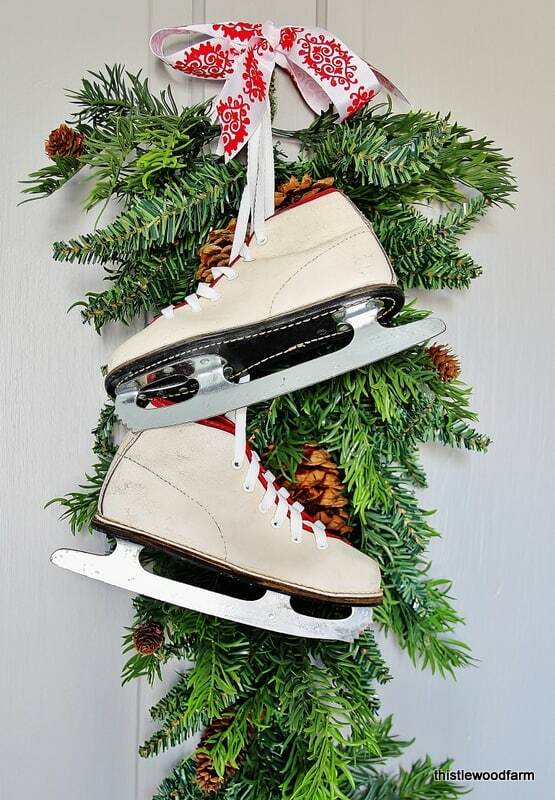 I love that you still have your childhood skates and what a great way to display them. Thank you so much for allowing me to visit today! 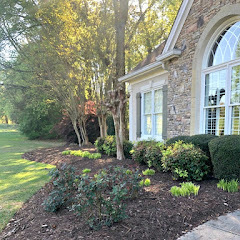 I am so inspired by your home and your beautiful decor! Have a very Merry Christmas to you! her guest room is always a favorite. so pretty. have a great weekend! KarriAnn, How could you ever choose? Every room in your house is my favorite!!!! I can't get enough of your wonderful farmhouse!!!! Thanks, Kim! What an amazing room. So beautifully decorated! Great Room Karianne. I love the shutter wall. Thanks for featuring KariAnne, Kim. Thistlewood Farms is one of my favorite blogs. KariAnne always has something inspirational to share while making us laugh and giggle as we read through her text. Love her stye of writing and decorating. KariAnne, I love this room too! Your wall of shutters is to die for and everything is so sweet and lovely. Thanks for sharing with us! your skates what a cute addition. Wow, such a beautiful room, love the colors you used . The shutter wall is fabulous! Love the blue and white for Christmas! I am actually do a lot of blue and white in a few design plans at this time and loving it!